She lost weight and got into great shape by eating healthy, carefully portioned, wholefood-based weight loss meals at steady regular intervals throughout the day? Must be nice to be her. Must be nice having no job, absolutely no responsibilities, no other time commitments or expenses, nobody else to take care of and all that time and money on her hands to commit to a weight loss diet plan like that…unlike the rest of us who are too busy to make Pinterest-worthy home-grown-sprouted-alfalfa-probiotic-organic-microgreen-kale-salads and fermented-tempeh-exotic-seaweed-cucumber-wraps and raw-whole-grain-gluten-free-home-made-chia-flax-hemp-crackers and acai-yucca-maca-matcha-kombucha smoothies every day…unlike the rest of us who are lucky if they manage to find the time to sprint to the nearest vending machine when an energy crash hits, to eat dinner before 9pm or to prep anything home-made aside from the home-made phone call for Chinese take-out…with a schedule like mine, I’ll never be able to stick to a healthy weight loss meal plan like her…guess I’m destined to stay fat forever…must (sigh)…be nice(tightening jaw)…to be HER(gnashed teeth)…..
Well. What if you could be her? WITHOUT having to give up the responsibilities and commitments of your real life? 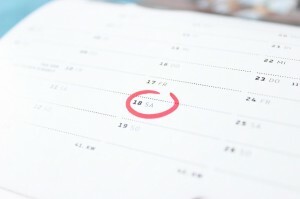 Life gets busy, the pace gets hectic, “me-time” becomes a myth (mustbenicetobeher) and the responsibilities on your plate often outnumber the hours in the day, but that doesn’t mean you have to keep settling for unhealthy convenience foods that continue to sabotage your weight loss efforts again and again. With a bit of careful organization, planning ahead and strategic meal prep tips, you can make a healthy meal plan sync up effortlessly with your busy schedule. You – yes, you – can experience successful weight loss without killing yourself being Everywoman or quitting on everything else you want to (and have to) do in your life. With the right game plan in action, you don’t need to be HER to get what you want. You can be better than her – by reaching your weight loss goals without giving up on being you. And that’s much nicer, don’t you think? Good news. You thought eating to lose weight makes your life more complicated. But you’re wrong. It could actually make your life simpler. Because you don’t need that acai-yucca-maca-matcha-kombucha smoothie for breakfast to lose weight (although saying that really fast over and over again 100 times may count as cardio). Eating healthy meals that stimulate weight loss doesn’t have to involve regular jaunts to expensive health food markets for exotic hard-to-pronounce ingredients that have to be brewed up several times a day with zany high-tech kitchen equipment according to complicated recipes. It starts at your local grocery store with reasonably priced easy-to-find whole foods. It starts with simplified weekly menu plans, shorter shopping lists, fewer grocery store aisles, low-stress rotating recipes and only one or two cooking sessions a week. Be realistic about your time schedule, and realize that prep-heavy gourmet cooking every day is not only unnecessary for losing weight, but it will also set you up for disappointment (and driving through towards a faster, greasier solution). Keep yourself from resorting to unhealthy convenience options by making healthy foods convenient as well. But not to worry – eating simple doesn’t mean you have to settle for bland tasting meals and boring meal routines. Variety is the spice of life – literally – so use a diverse assortment of spices, herbs and seasonings to make fish, chicken breast, steamed veggies, salads and other simple dishes pop with mouth-watering flavor, and to turn today’s chicken and brown rice into a completely different dinner surprise tomorrow. Keeping things simple also involves making things mindless, setting up routines that you don’t have to think about. This starts with planning all of your week’s meals ahead of time, as well as when in the day you will be eating them. Also, if you’re following a diet plan that’s based on portion sizes, calorie counting or macronutrient grams, than it can get tedious recalculating and re-tallying everything every time you eat a new meal. Cut out the math work by creating a small handful of pre-set food combinations for each meal of the day that already conform to your diet plan. This makes it easy to mix and match these meals throughout the week, and from week to week. And, eating this way, you’ll soon get a solid idea of the nutritional value of all of the foods in your routine, making it easier to make simple food swaps whenever you’re craving a change, the grocery store is out of an item or something’s on sale. Here’s a simple meal planning strategy to get yourself started: for one month, create 4 different breakfast meals, lunch meals, snack options and dinner meals that conform to your diet plan. For week 1, choose 2 of the meal options from each meal category (two different breakfasts, two different lunches, etc. ), and alternate between them each day of the week. For example, on Monday, you can choose a veggie omelet with 1 slice of whole grain toast for breakfast, a pre-packaged cup of cottage cheese with fresh peach slices for a mid-morning snack, chicken breast on a kale, avocado and quinoa salad for lunch, a protein smoothie for mid-afternoon snack, and grilled salmon with steamed broccoli and sweet potato for dinner. On Tuesday, you can choose a bowl of oatmeal with blueberries, walnuts and pumpkin seeds for breakfast, a quarter cup of natural almond butter scooped into celery sticks for mid-morning snack, a thermos of turkey, veggie and brown rice soup for lunch, a protein smoothie for mid-afternoon snack, and baked cod with steamed asparagus and spaghetti squash for dinner. 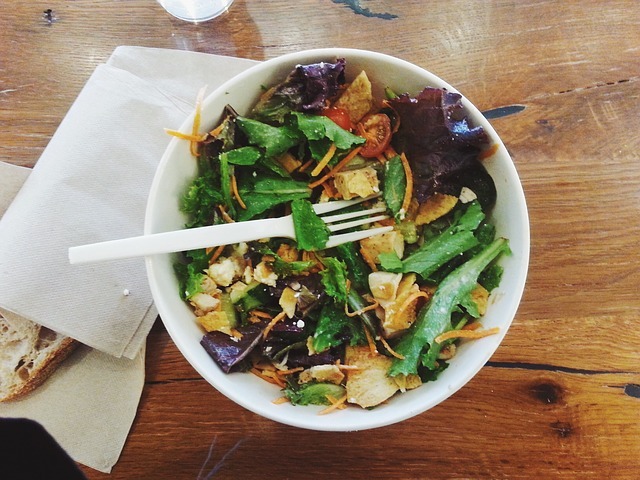 On Wednesday, repeat Monday’s meal plan. On Thursday, repeat Tuesday’s meal plan, etc. On Saturday, create next week’s meal schedule by choosing two new meal options for each meal category, and alternating between these new options for week 2. Repeat week 1’s meal rotation for week 3, and repeat week 2’s meal rotation for week 4. At the end of the month, you can come up with 4 brand new meal options for each meal category, dividing and rotating them in the same manner. Or you can just continue repeating the meals from the previous month, if that’s easier. It’s up to you. This method will greatly simplify meal planning, shopping and cooking while maintaining variety and eliminating boredom in your diet. Start planning your weight loss menu plan for this week with these healthy and delicious breakfast ideas for under 300 calories. Rotating through the same 10 meals in one week can really reduce the number of items on your shopping list, as well as the time and money you need to spend at the grocery store. After creating your week’s meal plan – which involved nothing more than coming up with just two days of meals – drawing up your shopping list is relatively easy. Figure out which food items you need (and don’t already have in your pantry or freezer) for those first two days of meals, and multiply them so that you have enough to last you for the rest of the week. Then one shopping trip with that list in hand should cover you for the entire week. Important shopping tip for weight loss warriors and budget badgers: Enter the grocery store with tunnel vision and set a phone alarm that only allows you to get in and out of the store within a fixed time limit. This will help you avoid allowing hungry eyes to lure you away from your pre-written grocery list and wandering into this-is-not-on-my-list-or-allowed-in-my-diet aisles. If it’s on sale but it’s not on your grocery list, don’t buy it. If it looks tempting but it’s not on your grocery list, don’t buy it. If you think maybe you’ll figure out what to do with it later or may come to crave it spontaneously in the future – but it’s not on your grocery list – don’t buy it. Grocery stores are designed to shake your confidence in the plan you walked in with. Stay calm and secure in the fact that you’ve come prepared with an entire week of filling, satisfying meals and snacks already, there’s no need for anymore. And you’ll be back at the store, same time, next week – so no need for just-in-case food stock-piling unless in the midst of a natural disaster, alien invasion or zombie take-over. Get in – stick with your grocery list plan – only enter food aisles that contain items from your list – and get out. Or, if you’re so inclined, avoid it all together by grocery shopping online and showing up only for pick up, or have it all delivered. A two-day rotating menu throughout the week means you can prep and cook in advance and in bulk for the entire week. Choose 1 or 2 days in your week where you can allot a few hours to do some bulk prepping, cooking and meal packaging, so that eating for the rest of the week basically becomes a simple grab-n-go affair. Schedule this same day (or evening, or night) as your meal prep day every week. On your meal prep day, pre-bake or grill all of the meat, chicken and fish you’ll need for the week, boil or bake any side dishes you have planned, and pre-make any soups in a large pot. While those things are cooking, pre-chop or dice all of your veggies and fruits, so they’re ready to go as veggie sticks, salad stuffers, sandwich toppers, easy steamers (steaming only takes a handful of minutes, so no need to steam veggies in advance of eating them), smoothie add-ins, or finger-friendly crunchy nosh if hunger hits. Once you’ve prepped, chopped and pre-cooked your meals for the week, choose good quality Tupperware containers and zipper-sealed bags to organize all of that food, packaging together the foods that you will be eating together in meals throughout the week. Also, purchase different sized containers that will help you divide your meals into appropriate portion sizes. For example, you can create 5 zipper-sealed baggies, each pre-stocked with mixed portions of chopped fruit, veggies and protein powder; labels these pre-made baggies and toss them into your freezer for the week ahead. Making your daily protein smoothie now becomes a simple matter of emptying 1 baggie into your home blender (or single-serving blender that you’ve stashed in your desk at work) with some liquid. You can bake several pans of seasoned chicken all at the same time, and then slice them up, divide the chicken into 4 ounce meal-size portions, and store each portion separately into neatly stacked storage containers or zippered baggies. Pre-chop veggies and store them in aerated baggies or containers so that salad making is nothing more than dumping these baggies out into a bowl and tossing with some oil and lemon juice. Investing a few hours for cooking and food packaging at the beginning of the week makes meal prep for the rest of the week a quick, easy, convenient and organized affair. Aside from Tupperware BPA-free containers and Ziploc’s, other good containers to have on hand are glass jars and glass lidded containers, stainless steel containers, thermoses and travel-friendly cooler bags. Clear your home of all processed, sweetened, fatty, salty, greasy foods that get you into trouble during 1a.m. snack attacks. Organize your fridge, freezer, pantry and cupboards so that your prepped food storage containers and healthy foods are highly visible, neatly organized, easily accessible and visually attractive to you. Remake your pantry into a cozy nest for healthy spices, seasonings, healthy oils, vinegars, high-quality condiments, dried beans, whole grains, protein powders, and other healthy food staples. This eliminates the constant cravings-versus-willpower battle that wages war inside you when entering a pantry modelled after the local gas-station 7-11, and makes quick, easy, healthy weight-loss meal prep an easy-access no-brainer. Where you go, your food now comes with you. Before you walk out the door for work or school, toss your prepped food storage containers and baggies with your meals for the day into your travel-friendly cooler bag (along with one or two ice packs). Now you are ready to go about your day, safe from desperate hangry attacks that once led you to binge on vending machine snacks and fast food fare. And if this new, responsible and slimmer you with your home-stocked trendy cooler bag slung over your shoulder entices some fellow work colleagues to poke fun at your new eating routine, or if you start to feel isolated from the lunch-time restaurant-going gang, then remember why you’re doing it all to begin with. Remember what you have to gain (by losing, that is). And remember that it’s you, in the end, that will have the last laugh, in your new beautiful body and refreshed sense of self-confidence. Eating healthy? Drinking healthy is half the battle. Clean, pure water is essential for health, good digestion, detoxification, proper organ functioning, mental clarity, long life, beautiful skin, strong immunity, good muscle tone, appetite control, fast metabolism, weight loss…the list goes on. Several doctors and health practitioners claim that the majority of people in the world suffer from chronic dehydration to some degree, and this is the cause of a slew of health problems that could be easily prevented. Poor drinking habits are also often the silent culprit behind many people’s inability to drop inches and reach their desired weight. 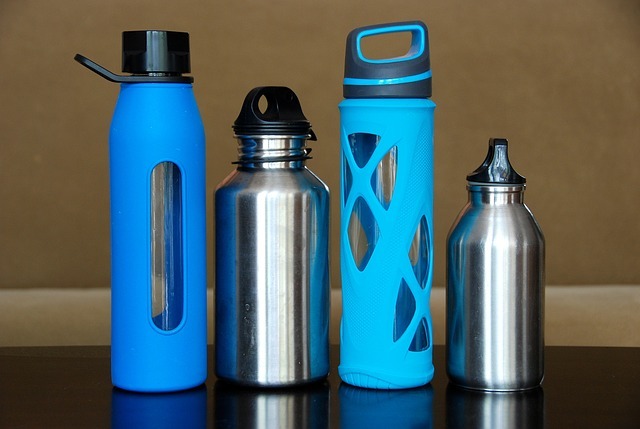 While it might feel like a hassle at first, carrying a filled water bottle around with you at all times could make all the difference between you getting enough daily water intake for those pounds to start melting off, and – well – not having that happen. While underestimating the power of drinking clean, pure water regularly throughout the day stops many people from experiencing the weight loss success that they could otherwise be theirs, underestimating the negative effects of drinking sweetened beverages, sodas, concentrated juices and highly caffeinated drinks also does its fair share of damage. One 2001 study found that soda drinkers gained an average of 3 additional pounds of weight per year for every year of their continued soda habit. Meanwhile, a 2003 study showed that people who drank 8 to 12 glasses of pure clean water daily burned calories at a higher rate than people who were not well hydrated. Therefore, if you did nothing more than remove the harmful sweetened beverages from your diet and replaced them with clean water instead, you’d already start to tip the scales in your favor and set the stage for a new, slimmer, trimmer and healthier you. So the next time you find yourself thinking that you’re too busy to eat healthy, remind yourself that that’s just not true. What you’re too busy for is an unhealthy body, crashing energy levels and low self-confidence to get in the way of your happiness and living the kind of life you deserve.